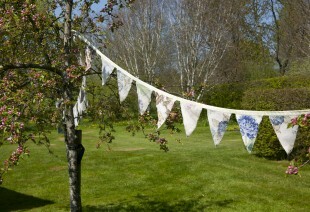 Bunting, deckchairs & shade pavilion hire. 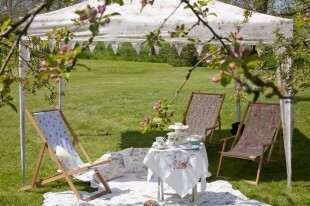 Our beautiful shade pavilions are unique to Elsie Florence. 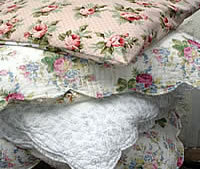 Each cover is handmade using lovely French fabrics. These pavilions make a lovely seating area for your guests & small children. 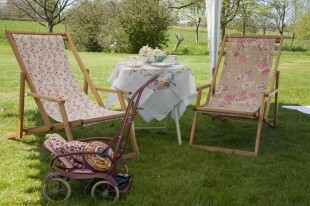 Our vintage-style deckchairs have soft floral slings or more traditional bold stripes. 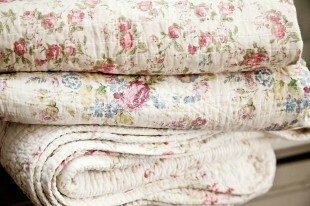 Hire our French fabric throws and faded rose-print scatter cushions. 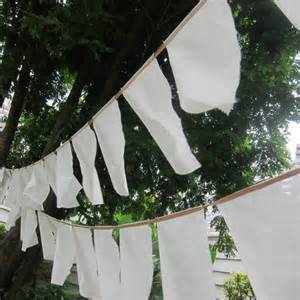 Handmade by Elsie Florence our beautiful vintage fabric bunting is available in faded vintage floral patterns and white cotton prayer flags.